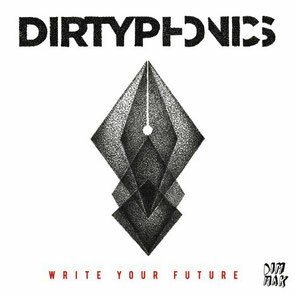 After last month’s ‘Power Now’ track, French group Dirtyphonics return with the ‘Write Your Future EP’, due out 17 February on Steve Aoki’s Dim Mak Records. The heavy-metal meets D&B blended track, ‘Power Now’, featuring Matt Rose, gets momentum going for the forthcoming EP. Next, the guys team up with mysterious trap kingpin ƱZ and rapper Trinidad Jame$ for second single, ‘Hustle Hard’. 12th Planet joins Dirtyphonics for the hard-hitting bass track, ‘Free Fall’, which features vocals by Julie Hardy. The guys’ release ends where it began; with their dirty sound. The Dirtyphonics hype should continue to spread by way of their accompanying tour which will make stops in Los Angeles, San Francisco, New York City and beyond. The guys will join Dim Mak label head, Steve Aoki for select dates on the Neon Future Tour in cities including Salt Lake City, Denver, Kansas City, Minneapolis, Chicago, Royal Oak, and St. Louis. Grab your FREE download of ‘Power Now’ below.